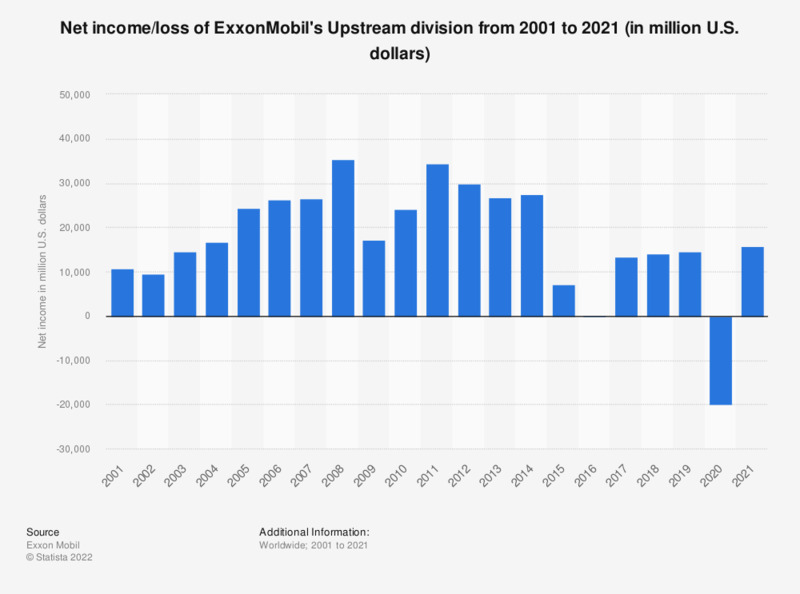 This statistic shows the net income of ExxonMobil's Upstream division from 2001 to 2018. In 2018, Exxon Mobil Upstream generated a net income of approximately 14.1 billion U.S. dollars. ExxonMobil is a United States-based multinational oil and gas corporation headquartered in Irving, Texas.